Are you an experienced Pokémon hunter? Then we need your skills to conquer all the chemical elements on ‘Het Eilandje’ in Antwerp! Besides the results of the CurieuzeNeuzen air quality project, VITO launches a fun novelty for young and old during SuperNova: ResourCity, a new game app about materials in the city. With ResourCity you increase your knowledge of chemistry and materials while you discover a city. TV kids show Karrewiet saw how enthusiastic the children react to it. With augmented reality game ResourCity you have to catch all elements from the table of Mendeljev at ‘Het Eilandje’. You can find 104 elements in buildings, statues, the road surface, etc. The more important or scarcer the element in the real world, the more difficult you will be able to find it. You receive points for each element. The more points, the faster you will level up. If you make combinations with the different elements, you will receive combination badges. You will receive information about all elements and connections. If you go through all levels and collect all combination badges during SuperNova, you will win a free ticket for Technopolis. Worldwide we are facing the challenge to respond to the growing demand for raw materials. Raw materials can often be found in underground mines. But they are not inexhaustible. With ResourCity we want to teach young people how to develop and (re)use materials that are becoming less and less available. This gives them insight into the transition from a linear to a circular economy. In time, we also want to launch the game in other cities. The game will be available on Thursday 27 September at 10 am for the area of ‘Het Eilandje’, where the SuperNova Expedition is taking place. You can download the app in the Appstore or Playstore. 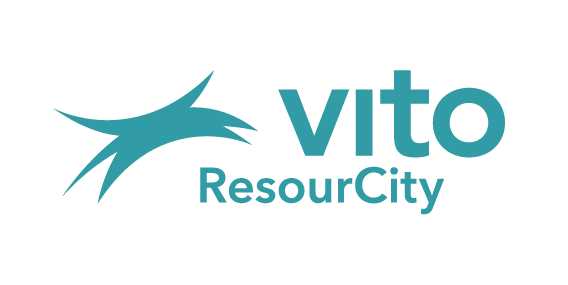 For more information on how VITO can help companies and organisations in the transition to a circular economy: https://vito.be/en/circular-economy. Lieven Scheire over de ResourCity game van VITO from VITObelgium on Vimeo.